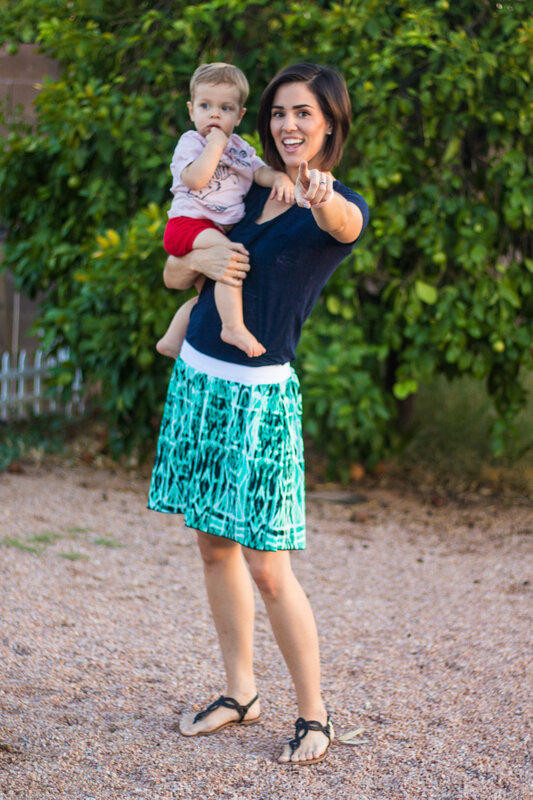 RAD Patterns just released their Seaside Culottes! Currently $7 until August 18th, so grab them while they are a few bucks off! I honestly had no idea what culottes were when I first heard of them, had to do a wee bit of google searching... But I love these! Super comfortable. The pattern calls for woven fabric, but I cheated and used a knit! It's some kind of rayon spandex blend, but it has less than 30% stretch. The best part about using a knit for these...rolled hem! I did the exposed waistband instead of the enclosed. I like the look of it better. It comes in a 3.5" and 8" inseam. The best part about these, you can totally dress them up since they kind of look like a skirt or lounge wear. Win/win! Thank you to my wonderful hubby for helping me take some pictures!